Berry Brps. & Rudd can trace its origins back to 1698 when the Widow Bourne founded her shop opposite St James's Palace. Today, the present generation of Berrys and Rudds continue to manage the family-owned business from 3 St James's Street. The Speyside distillery lies in the mountainous area close to the source of the river Spey. Opened in 1001, it is one of Scotland's more recent additions but has been constructed in traditional style with local stone and Christie, had never intended to produce large volumes of spirit so the pot stills are amogst the smallest being used to Scotland, with an output of only 500,000 litres per annum. 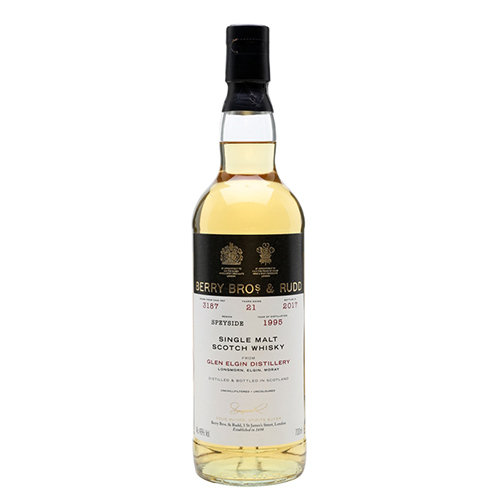 Bright apple aromas mingle with fruit salad and a delicated backgrund note of peat. The creamy palate bursts with clean fruitiness and broadens to release some smokines which lingers long into the spicy finish.